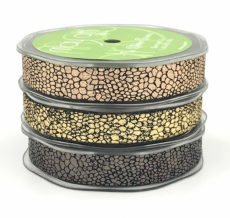 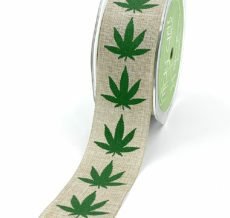 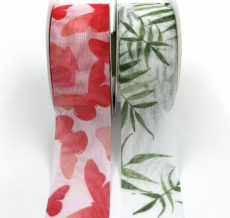 May Arts has a large selection of ribbon for any home décor project or interior design. 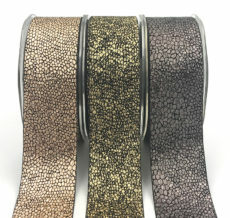 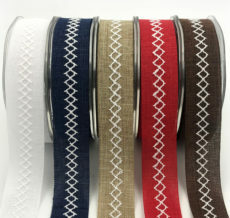 We carry metallic, satin, iridescent, sheer, plaid, dotted ribbon and more. 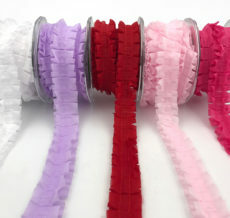 With fun styles like our pom pom ribbon or a more classic tartan plaid, there is something for every design vibe.